Here are a couple more of the cards from last weekend. I CASEd this design from Susan over at Rainy Day Creations. Check out her card here. I changed the design by stamping rather than die cutting my background. 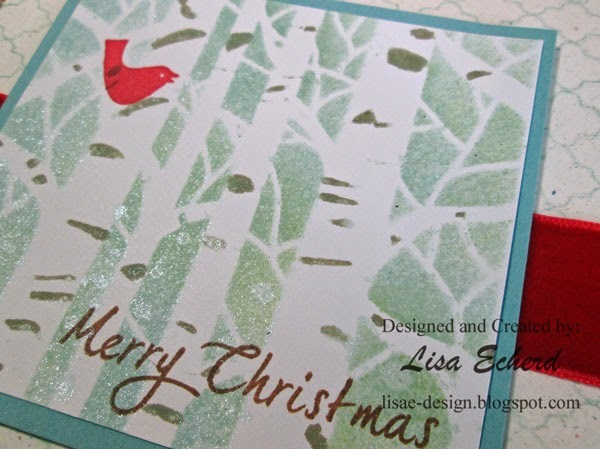 The tree design is stenciled rather than stamped using Crafter's Workshop Aspen Trees stencil. The little bird is from Stampin' Up! and the greeting from a Raisin Boat set. To do the stenciling, I went over the stencil with sponged on ink and then used a marker to color in the bark on the birch trees. I misted the entire thing with a light aqua mist to add some shimmer. These are my favorite cards so far. To learn more about using stencils on your projects, check out Scrapbooking with Stencils. While the class examples are scrapbook pages, the techniques can apply to any project including cards! 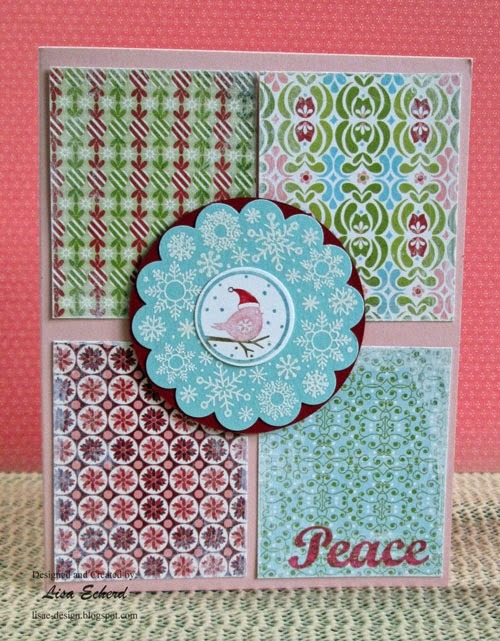 For this card, I used some wonderful BasicGrey Eskimo Kisses 6x6 paper I won as blog candy. The stamp is Stampin' Up! I'm repeating this design from last year just with different papers. My mother and I send cards to different people for the most part so I don't think a few repeats will matter. Saturday is National Cardmaking Day so I hope to get in a card or two. Will you be crafting this weekend? 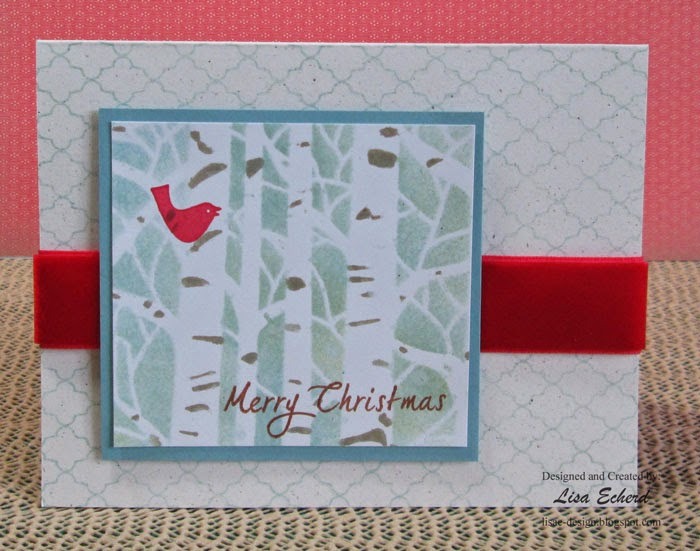 Love the card with the trees and the cardinals. Your birch tree card is so pretty. Love the shimmer and the cute red bird.